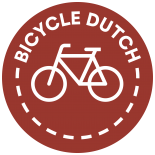 The number of cyclists is counted regularly in Utrecht (Netherlands). The city council monitors the bicycle volume to see if cycling policies and infrastructure are still adequate. Because of the huge numbers of cyclists the counting is done automatically. Devices are put up temporarily on a huge number of counting points each year. Some of these are shown in this video. The video then shows some of the streets that see more than 10,000 cyclists passing on every working day in this Dutch city with a population of 300,000. The figures are from the website of the city of Utrecht. Cyclists are counted in almost every city and town in the Netherlands in a similar way. This entry was posted on 11 January 2011 by Bicycle Dutch in Video post and tagged figures, Utrecht.